Largest Wawa ever opens in Center City. Matt O'Donnell reports during Action News at Noon on December 14, 2018. 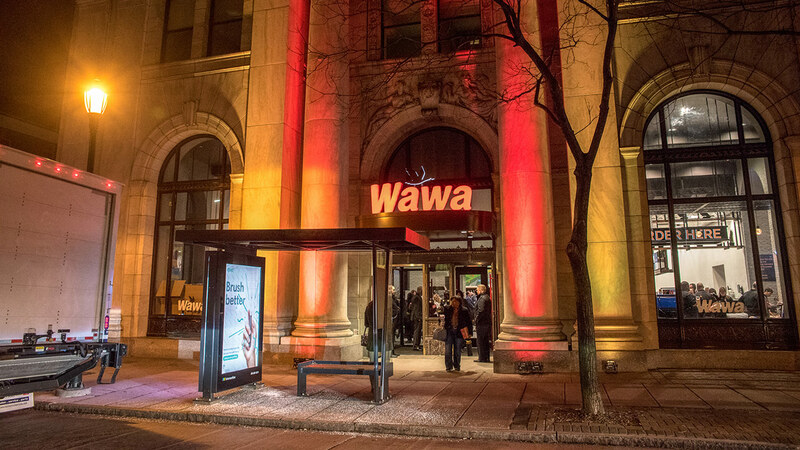 PHILADELPHIA (WPVI) -- Wawa made history Friday as it opened its newest and largest store right in Center City Philadelphia. The doors opened to the new flagship 11,500 square feet location at 6th and Chestnut at 8 a.m. The store features a living greenery wall, large digital screens, and free Wifi. There are also couches and café seating for customers to sit and eat their hoagies. 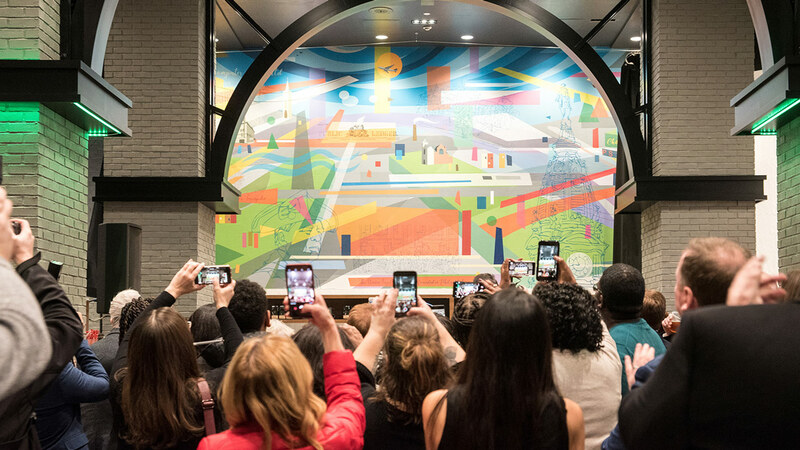 Wawa has partnered with City of Philadelphia Mural Arts Program to feature two "Philly Firsts" murals. "The mural includes a mix of Philadelphia's skyline views, bridges and roads, iconic buildings, critical industry, and important inventions. And it has representations of art, architecture, technology and engineering that make Philadelphia what it is today," Wawa officials said. Customers can also order special mural coffee cups. The limited-edition Molten Lava "Liberty Latte" is being sold exclusively at this Wawa location for the first three months after its opening. It is made with hot chocolate and hot latte topped with whipped cream, chocolate sauce and topped with Red, White & Blue. Mayor Jim Kenney and other city officials helped cut the ribbon on the brand new location. A Wawa "declaration" was delivered by "Thomas Jefferson" and the Historic Philadelphia's Fife and Drum corps performed the National Anthem. The first 200 customers through the door received special giveaways.